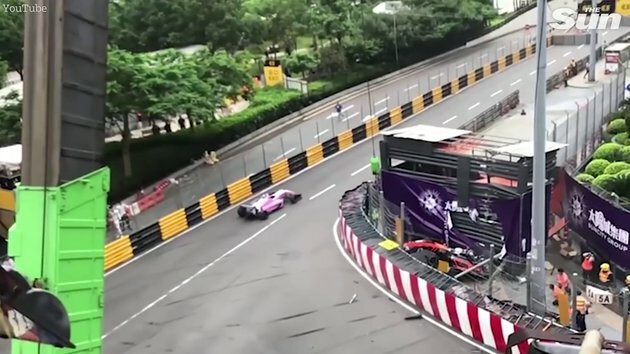 FORMULA 3 driver Sophia Floersch has fractured her spine in a crash during the F3 World Cup final in Macau that left multiple people seriously injured. In horrific footage, the 17-year-old German's car can be seen losing control at 170 mph and launching into the air over a rival's car and into fences in the media section. She is up and going already in reasonable condition planning to drive next year. Who let my ex drive? #4 her new boyfriend? Or girlfriend?